I beat The Last of Us in one sitting my first time through. I don’t recommend playing it that way. It’s a fantastic game, but it’s a dark, grueling experience, one that I needed to see through to its completion even as it took an emotional toll on me. A week later, I started it again, this time on Survivor difficulty. I just barely made it out of the sewers with almost zero health and zero supplies. I needed to take a break. I never picked it back up. Until Left Behind. And I’m so glad I did. I wouldn’t have thought I would care about Ellie’s backstory, about Riley, until I started playing. I had forgotten how fantastic Naughty Dog is at storytelling. It’s never really about the overarching plot, but about the particulars. It’s how the characters look at each other, what they say, how they say it. It’s about the little inflections in their voice that tell you everything you need to know about that character’s place in the world. It fills in a gap in the story that didn’t really need elaborating upon but gets the treatment anyway. Joel is hurt and Ellie has to save him. Nothing really interesting happens in that side of the story, but it’s a necessary backdrop as Ellie’s backstory being told in flashbacks offers new insight to her motivations. 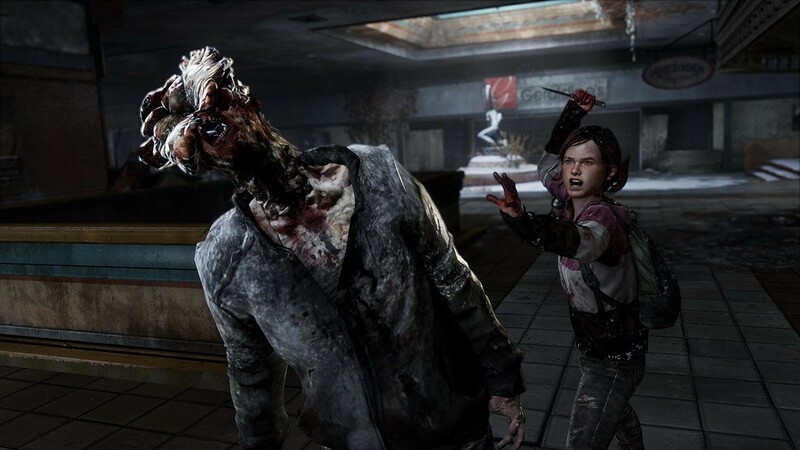 The combat in Left Behind immediately reminded me why fighting the infected was such a letdown in the main game and why fighting regular humans is so much more tense and satisfying. There’s a new type of infected called “Stalkers” with some interesting behaviors, but given that it’s another enemy that can kill you in one hit in a game where the enemies who can kill you in one hit are the worst part, I don’t think it needed it. There’s a continued inconsistency in when enemies will notice you that becomes impossible to ignore when the game insists on pitting you against rooms full of infected. Mind you, I chose to play it on Survivor my first time through, so that didn’t help, and that’s on me. Regardless, the very first real combat encounter I got into almost had me put down the game. It gets better later as more humans enter the playing field and the scenarios start incorporating both humans and infected, but there’s just not enough of that variety to entirely remove the sting of the often-frustrating Clicker sections early on. The gap that Left Behind elaborates upon to greater effect with Ellie’s flashbacks is her past with a friend named Riley, and this is where Left Behind got much more interesting. Riley and Ellie constantly hint at their history together, never quite touching the subject, in a realistic way as they explore a mall and dream of a pre-Cordyceps world. For me, though, this is also where Left Behind drops the ball the most. Unfortunately, there’s no good way to talk around it, so we’ll have to talk about a spoiler. Ellie and Riley’s history turns out to be a romantic one that culminates when Ellie kisses her. It’s not much of a surprise given their chemistry or the hints that get dropped, and it proved a heartfelt and extremely well-executed scene, which, again, is not surprising. But here’s the part that bothers me. To me, it feels disrespectful to reduce Ellie’s sexuality down to a post-game plot twist. It felt a lot like reading J. K. Rowling’s comments after her entire Harry Potter series was out that actually, as it turns out, Dumbledore was gay the whole time. It’s fine for Dumbledore to be gay. That doesn’t make me uncomfortable. The problem is in the delivery. Telling fans after the fact means that it changes everything in retrospect. Now you cannot read Harry Potter in the same way and, sure enough, I can’t play The Last of Us in the same way either. After I finished Left Behind, I loaded up my Survivor playthrough of the main game and pushed forward a bit. Since I left off after the sewers, Joel and Ellie were still partnered with Henry and Sam, which immediately brings Ellie’s sexuality to the forefront as her interactions with Sam beg a further series of questions that never once crossed my mind before. This isn’t the first time The Last of Us has treated a character’s sexuality as a twist. A side character, Bill, was revealed to have a partner that was implied by the end of his arc to be his sexual partner. I was fine with that twist because it was a subtle detail that worked to challenge my assumptions of the character based on his gruff, Southern demeanor and spoke volumes about the nature of that world and of what companionship really means there. I’ll admit, you could certainly make an argument for Ellie and Riley’s relationship working in the same way, but with Ellie being such a principle character, the feeling that it was nothing more than a cheap reveal to play with expectations without nearly as much of a point lingers. There was no reason to cloak it until the last moment. They should’ve embraced it from the beginning. It’s unfortunate to me that that ends up being the most important part of Left Behind, the part that sticks with me as the new “revelation” to take away. Ellie is a lesbian, or bisexual, or maybe sexuality as we know it just doesn’t exist (or matter) in that world anymore. And that’s fine. I just wish her sexuality as it were hadn’t been treated like a twist. If there had been more of a hint of that in the main game, her relationship with Riley would’ve been even more touching. There was no reason to cloak it until the last moment. They should’ve embraced it from the beginning. 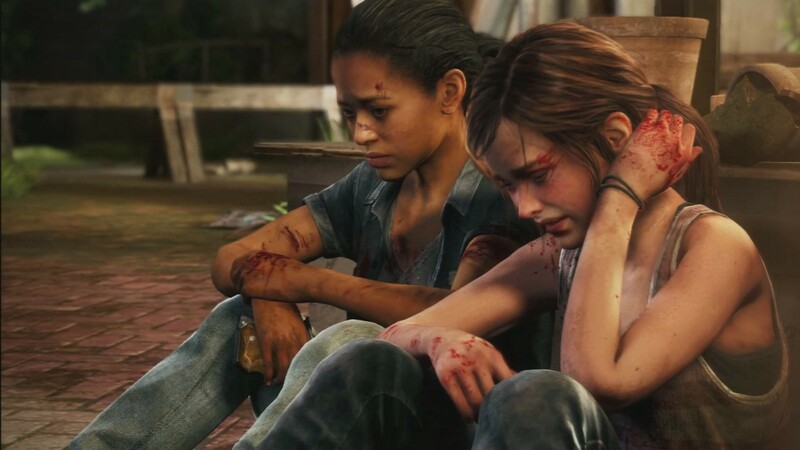 Yet, to Naughty Dog’s credit, the story is still a heartfelt and worthy companion to The Last of Us, one that fills in a gap that didn’t really need to be filled in, but I’m glad they did.